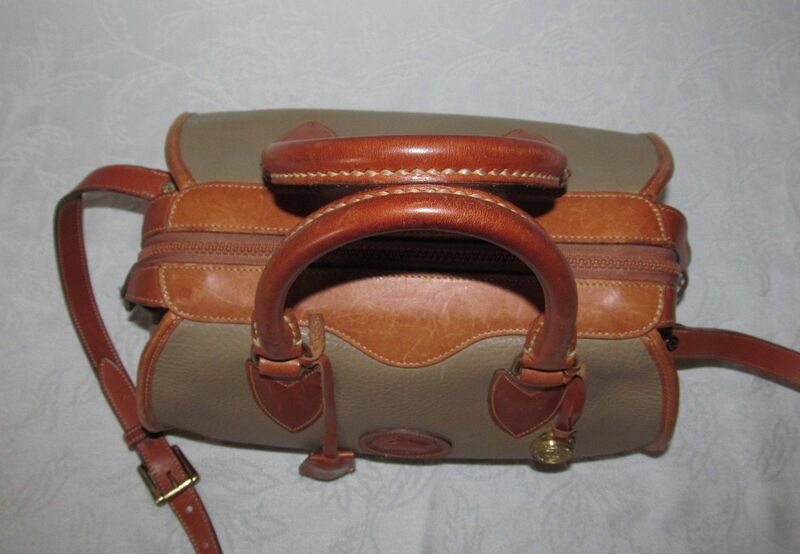 A friend gave me a vintage Gladstone for my birthday, but since she knows little to nothing about an authentic vintage Dooney and Bourke handbag I thought I would contact you for the characteristics of the R90 Gladstone. 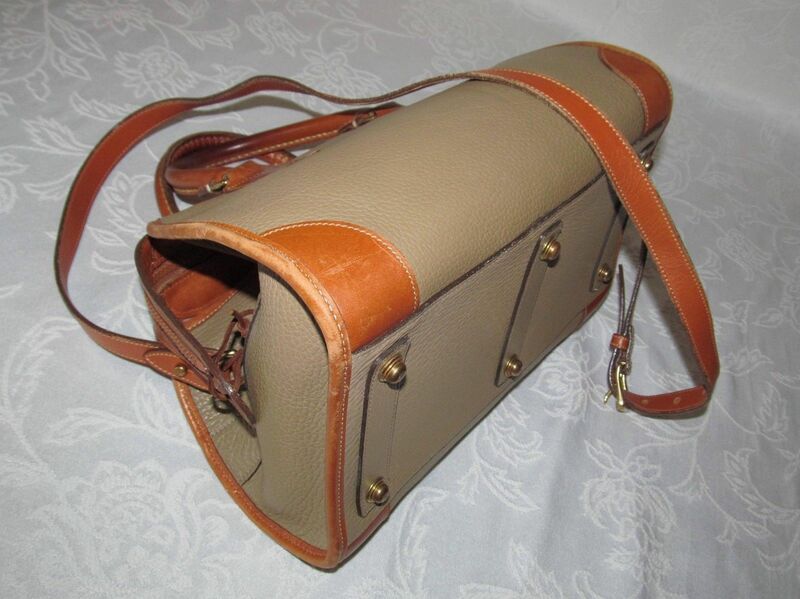 I have searched your site and found a duffel and the lovely one you sold but it’s so hard to always tell and I cannot find a catalog. I will try to form my questions so you can answer most in a yes or no or short answer response to save you time. 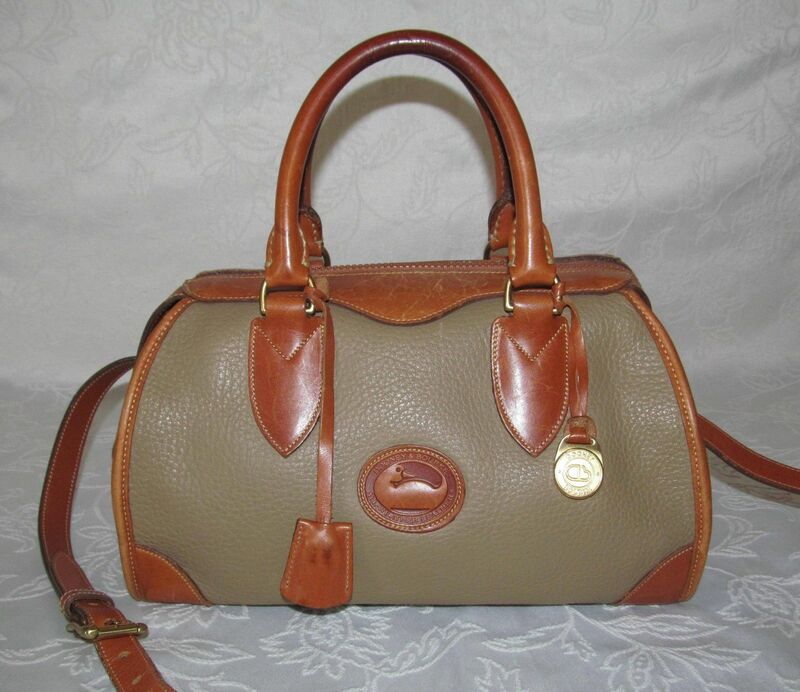 Your birthday gift is indeed an authentic vintage Dooney & Bourke Gladstone. 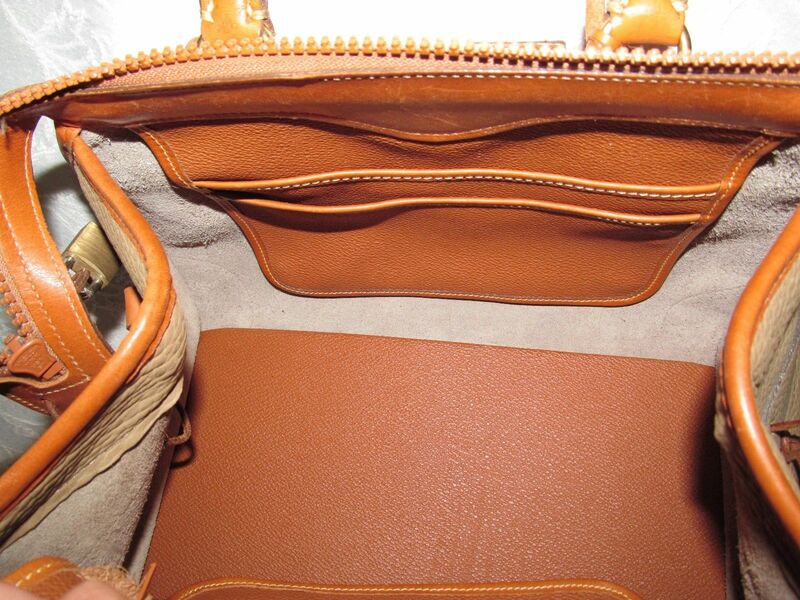 As far as what model it is, I can’t say for sure since you did not send any measurements. But it appears to be the Small Gladstone R90. The oldest catalog I have is 1992 and the Gladstones in that catalog have the duck FOB so yours was made prior to that. 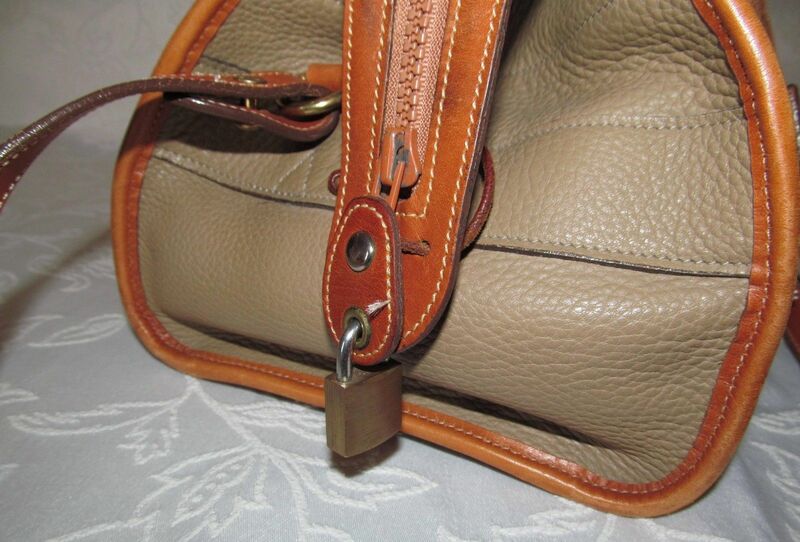 No, there have been a variety of pockets over the years, some with snap, zip, slip and some with the overstrap with tab. 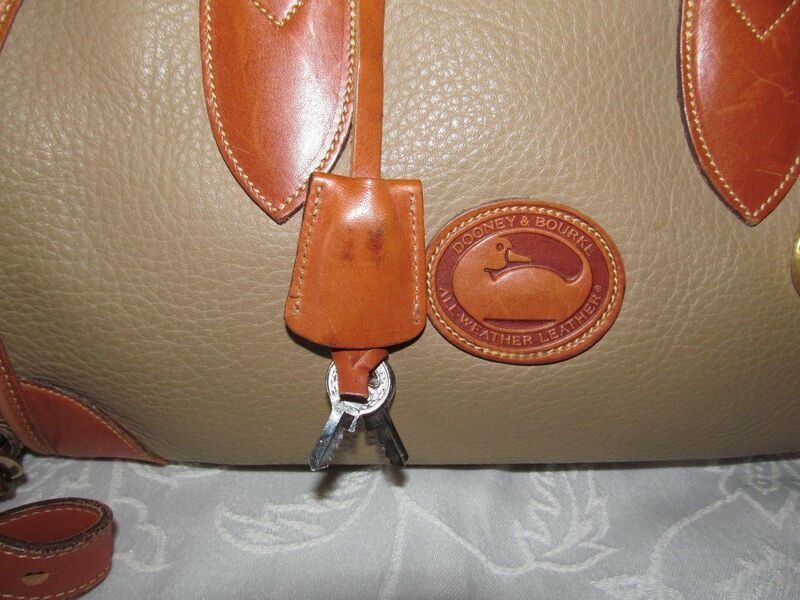 This entry was posted in All British Tan, All Weather Leather, Authenticity, Gladstone by Native American Jewelry Tips. Bookmark the permalink.